Realme 3 broke the record for fastest-selling smartphone under Php10,000 on its first-ever flash sale on e-commerce platform Shopee. 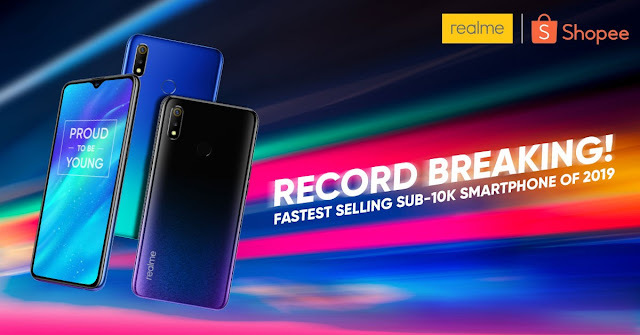 Well-received because of its competitive specifications and affordable price point, this latest innovation from realme Philippines instantly became a smartphone wonder for value-seekers, making it the talk of the town. To celebrate this milestone, realme will have another flash sale on March 27 from 12:00NN to 5:59PM. Fans can use the code SHPXREALME3 upon checkout at Shopee to get a 10 percent discount. "We are very happy that the realme 3 sold out on its launch on Shopee. We are also proud of our partnership with realme, a young smartphone brand that delivers products of real quality and value to consumers in the Philippines. 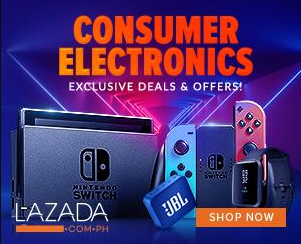 We look forward to more collaborations with realme to deliver even more exclusive products and provide the best online shopping experience to our users," shares Shopee Philippines Associate Director Martin Yu.